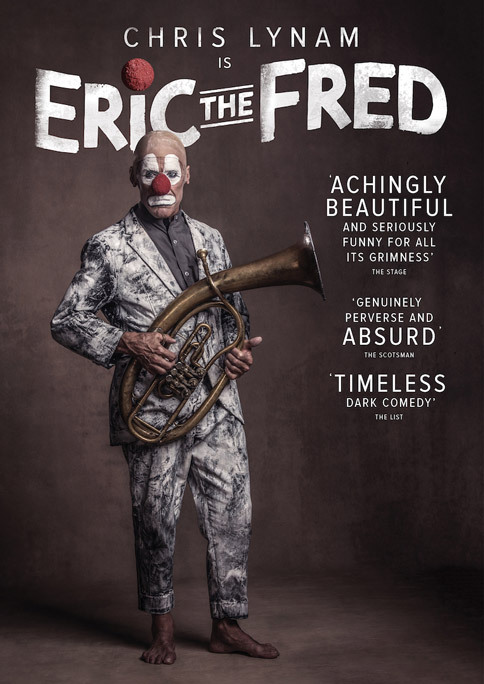 ErictheFred is an evocative, delightful and life-affirming piece combining twisted classical clowning, exquisite film, and stunning original music. An enraged and shamed performer tears off his costume, never to perform again. At this pivotal juncture, his very own agent provocateur kicks in, fiendishly and hilariously provoking him to dream, to remember, to fall in love, to dare, to carry on … or to end it all. 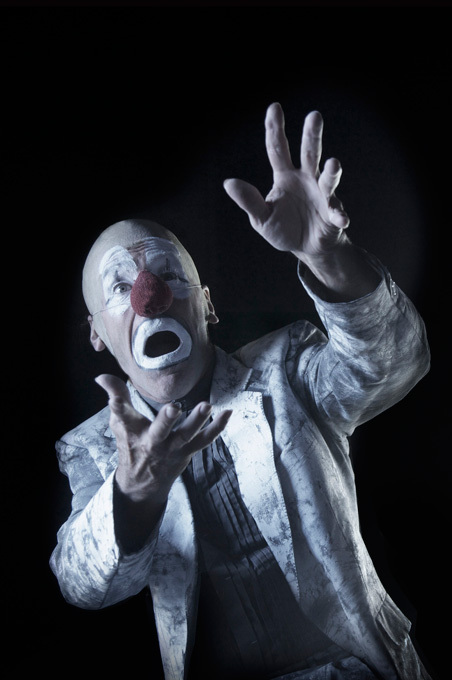 The audience is transported to a strange, unnervingly familiar world where the clown’s innermost thoughts manifest themselves: instruments appear as if from nowhere; butterflies harass and cajole; knives, noose and gun all fail him. 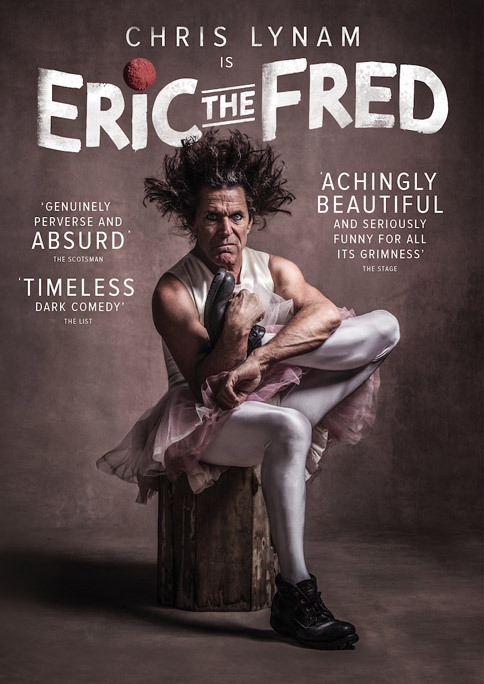 In this acrobatic tour de force, ErictheFred is tugged from one extreme to the other, running the gamut of human emotions; suffering dismay at the death of his beloved, enjoying the long awaited rapture of an adoring audience and transcending everything, traveling to the moon, only to be obliterated in an explosion of stars. Returning to his familiar world, the clown rediscovers his joy only for it to be destroyed again in inevitable chaos. 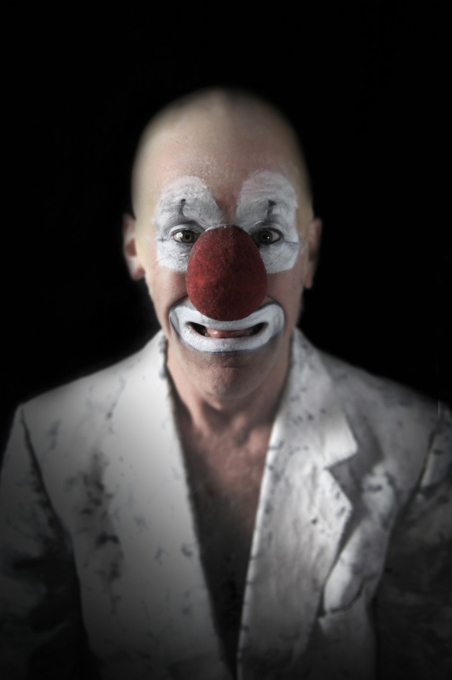 It ends in delicate surrender; the show and the clown must go on.